Work with The Master Teacher from Day One. Ms. Giosa believes the ability to use your full emotional instrument on demand is essential for truthful and compelling acting. Susan has created an unique emotional technique and warm-up that helps rid you of your fear of judgement and quickly connects you to your emotional core. She invites you to take a PARTICIPATORY AUDIT and experience her unique warm-up. Susan is an award-winning actress who has worked for over 30 years, and has been teaching acting for nearly 20. 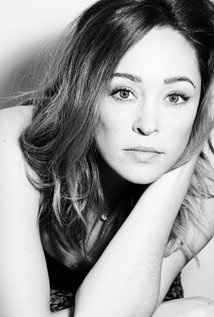 She holds a BA/MA degree in Drama/Theater and did most of her graduate work at RADA, Royal Academy of Dramatic Arts in London. She trained for many years with renowned acting teacher, Larry Moss. 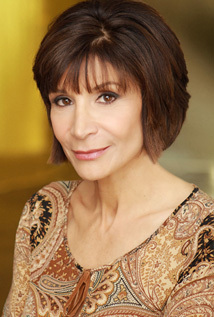 Susan Giosa offers private coaching for auditions, which also includes professional taping, for no additional fee. Coaching is also offered to CEOs, writers and hosts who need to do public speaking. Coaching for children - no previous training is required. Kids must be between 5 and 17 years old. Award-winning actress and coach, Susan Giosa, offers acting classes for all levels, Beginner to Professional. She believes the ability to use your full emotional instrument on demand is essential for truthful and compelling acting. She has created a unique emotional technique and warm-up that helps rid the actor of his fear of judgment and releases his full creative potential. Her student's ability to connect easily and quickly to their deepest emotional core is the result of her warm-up technique. Students often study years with the same teacher and never develop professional careers. They become too comfortable and stagnate in the safety of the classroom. Susan Giosa is also personally committed to the development of each student's craft and professional career. Her goal is to teach each student to be a master of his or her own craft. Call to book a Participatory Audit. "Susan Giosa understands the depth of the human spirit. She teaches you to tap into that part of yourself that is deepest and most personal and use it to enrich your art. Susan taught me how to take risks, both emotionally and physically and it completely changed the level of my work. When I see "She cries" in an audition scene I am no longer intimidated because I know Susan's techniques work. The quality of the dramatic work you see in Susan's class is unparelleled and is, quite simply, extraordinary." "If you're looking to be challenged and grow as a person as well as an artist and to have fun, I think Sue is the place to go for that. It's absolutely different from any other class I've been in. It's a really intimate environment where the students and even Sue become part of your family. Trust is the main thing you want with a coach and Sue is genuine, she's pure, and she's warm. So it's easy to be yourself in front of her, drop those defenses and just be vulnerable, which is what you want as an artist. When I have a job, anytime I feel like I'm disconnected or hit a wall, I do her unique exercise that opens my mind and takes me to a different place where I'm just being rather than intellectual trying to be. Get ready to workout. You'll be in for a big journey that you won't want to come back from." 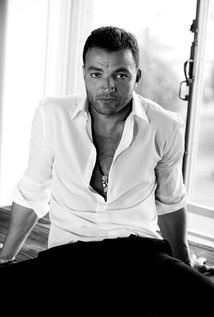 "Working with Susan in her classes and also private coaching has taken my career to a new level, both as an artist and in the business. My callbacks and bookings have greatly increased. Embracing her techniques has quite literally changed my life, and consequently, my acting. I now have my own series. Sue has the ability to speak deeply, and sometimes bluntly, but it's always beneficial. Working with Susan is not for the faint of heart, it will take courage and desire, but the rewards are great. If you are truly committed to being an artist, I cannot recommend Sue's techniques highly enough."